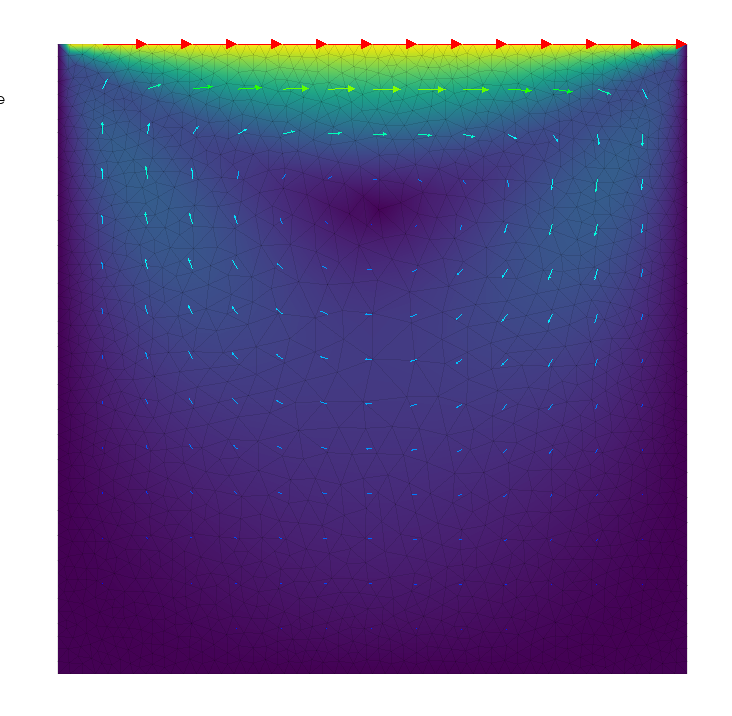 P2P1 triangles were used to discretize the Stokes Equations. The velocity magnitude and vectors for the Lid Driven Cavity problem. The top wall has a fixed velocity of 1 and the sides and bottom have no slip boundary conditions. 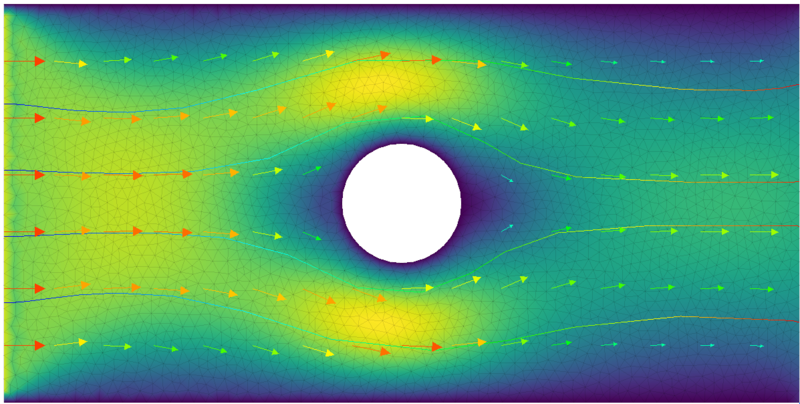 The velocity magnitude, vectors, and streamlines for Stokes Flow across a cylinder. will generate the data for the plots shown above.